With all of the new gear announcements made this year, its tempting to buy the photographer in your life something new and wiz bang… While new toys are great, they can get outdated and cost a lot. How about giving the photographer in your life the gift of education? The books below are a collection for photographers of any level. From leveling up technical proficiency to practice exercises to exploring the photographic journey, there is something here for everyone. 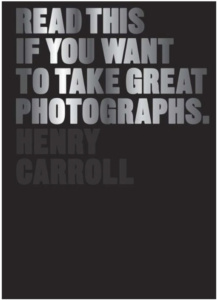 Read This If You Want to Take Great Photographs is another great place to begin if the photographer in your life is starting their photographic journey. Everything from basic exposure to the intricate details of how your camera works are covered. 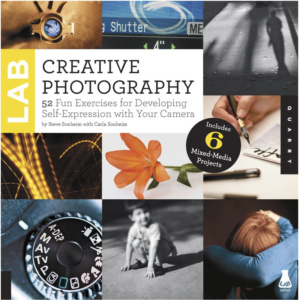 Read This also covers the creative side of photography with sections on “seeing” and using exposure for creative effects. The infographics in the book are fantastic and display some complicated photographic concepts in an easy to understand way. The photos included provide great examples of the concepts they are associated with and some motivation to get out and try what is being taught. There are also variations of this book that focus on photographing people and places if more detail on a specific topic is desired. As you will see below, a companion photo journal was created to help stretch photographic creativity. 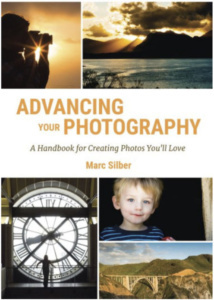 In Advancing Your Photography, Marc Silber provides both instruction and exercises to help budding and experienced photographers develop their skills. The basics are explained in an a way that is easy to understand and motivate the reader to pick up their camera. An advantage to Advancing Your Photography is its small size – its designed to be carried with you. That makes the book easy to keep on hand as a reference or consult for an exercise or two. AYP is easy to read and is clearly born out of Marc’s passion for photography. For those that haven’t found it yet, Marc also has a Youtube channel dedicated to picking the brains of photography masters and helping anyone advance their photography. Of the four books in this section, The Photographer’s Eye is by far the most detailed. 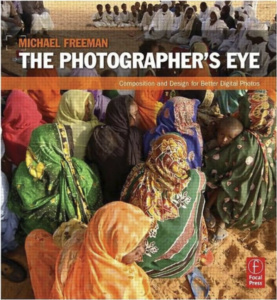 The book covers a lot of photographic ground and every topic is discussed in extreme detail. Going way beyond the basics of exposure, The Photographer’s Eye covers composition and design elements in depth and explores photography as an art form, not just a series of steps taken to get a good image. One Amazon reviewer said that the book helped them “learn to see like an artist” – an important skill in photography. The only criticism of The Photographer’s Eye would be the dry writing style – don’t expect that you will sit down and plow through it cover to cover. More of a textbook than the others, it can be a slow read at times. It is, however, the best reference book of the lot and covers many topics the others don’t. 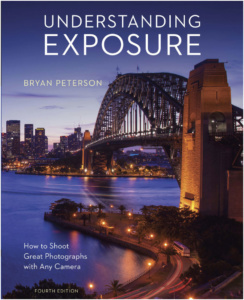 This book is all about the lighting and is one of David Hobby’s (aka The Strobist) favorite books on lighting – he recommends it several places on his blog. Light Science and Magic covers basics like the inverse square law and angle of incidence equals angle of reflection as well as advanced topics like lighting glass and reflective surfaces. All of the subjects in the book are well explained in an easy to understand way – no math or physics degree required. Information is organized in a way that allows the reader to work topics out of order and it makes it makes a great reference manual. 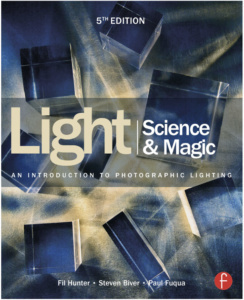 That said, Light Science and Magic is not written in a cookbook style – it teaches concepts and you won’t find camera/flash settings for specific instances. A great place to start for anyone looking to get into flash photography. Most of the exercises in the book are designed to stretch the reader creatively. Anyone stuck in a creative rut, bored with their current photography, or lacking inspiration would benefit greatly. 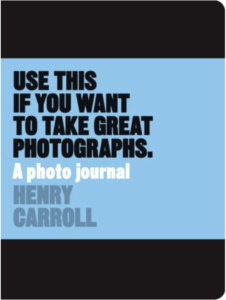 If you shoot primarily with a point and shoot or smart phone, you will also get a great deal out of this book. The Photographer’s Playbook won’t teach you the basics of the exposure triangle or how to use your camera – it is not geared toward beginning photographers regardless of camera choice. Most of the exercises assume that you either have the technical skills down or that you are using equipment that handles the technical things for you. There are also several exercises that don’t involve a camera at all and are geared at pushing your creative process. 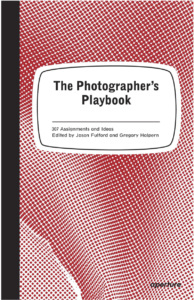 The Photographer’s Playbook is great to have around for photography ideas if nothing else. Another great book for stretching yourself creatively. Use This contains a series of exercises designed to make you think about the subject – there is no technical input. Many of the exercises in this book are abstract – like make an image that makes a political statement. All the exercises are very open ended, but designed to help you exercise your photographic skills including composition, lighting, observation, and exposure. One thing I really like about the book is that some of the prompts will make you uncomfortable (especially if you are an introvert like me). The reader will have to push themselves… As with The Photographer’s Playbook, Use This is not aimed at someone that just unboxed their first DSLR and is looking for technical help. However, all of the exercises could be completed regardless of the type of camera you have. Creative Photography contains a great list of exercises to help take your photography to the next level and use your images in creative ways. No particular type of camera is necessary – the first exercise in the book is designed for a smartphone and most can be completed with a point and shoot. The exercises are fairly simple and designed to push your technical capabilities and creative vision. They also help you learn to use your camera by using specific features like exposure compensation and white balance controls. The “Blind” camera exercise was unnerving for a guy heavily dependent on the LCD screen… There are also several mixed media projects that provide creative ways to use the images you have already taken. The writing style is straight forward and easy to understand. Road to Seeing is not just a great photography book, but a great art book. The ideas that Dan is able express through his words and photographs are incredible. 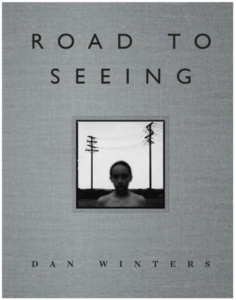 At almost 700 pages, Road to Seeing looks a bit daunting when you pick it up, but it is one of the best photography books you will read. Broken down into many smaller sections, the book does not need to be read from front to back. Mr. Winters shares his photographic journey from photojournalism to celebrity portraits. It is a fascinating story of how he got to where he is today. Each of the smaller stories covers how the shot was conceived, planned out, and the thought processes behind all of it. That said, Road to Seeing is not a how to book. There are no recipes or really technical info. However, there is a lot of “how” a photograph was created – the mindset involved. 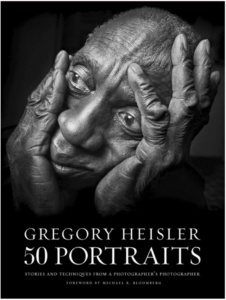 50 Portraits is Gregory Heisler’s first book and it is spectacular. The images are beautiful and the explanations of how they are made are equally fantastic. Along with each photo, Mr. Heisler provides the background and thought process of how each image was created. He covers everything from concept to execution. The planning alone on many of these images was immense and a few of the stories explain the problem solving involved when Murphy arrived and threw a curve ball. What you won’t find in this book: f/8, 1/250th @ ISO100… What you will get: “I wanted to achieve X, and here is how my team and I did it.” There is no particular sequence to the portraits in the book and it can be easily consumed small bits at a time. Along the way you pick up small autobiographical tidbits as well as the photography stuff. I have been through the book twice myself and my favorites are the portraits of Michael Phelps and Rudy Giuliani. 50 Portraits is a fantastic read and resource.